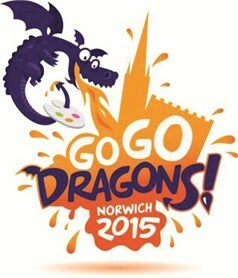 On the 21st June the Go Go Dragons swooped into Norwich where they will stay guarding the city until the 5th September. The Dragons are part of a fundraising trail to raise money for Break children’s charity. Yesterday we started our dragon quest, there 84 dragons in and around the city and we decided to do small part on our first trip. We began in the car and stopped off at Norwich City Football club (We are Premier league say we are Premier League ! ) Here we found Ashman a yellow and green dragon. We then drove on and jumped out on Bishop road and found dragons dotted along the river bank. It was a beautiful setting and the sun was shining on the glossy dragons’. We parked at Anglia Square and then continued the rest of our journey on foot. After a short time we stopped for a quick snack of sausage rolls and cherries! It was getting hotter and hotter but we continued walking quickening our pace when we spotted a dragon in the distance. There were lots of people with their dragon maps pointing each other in the right direction and talking about our favourite dragons. The walk around the river and cathedral was well worth the effort as the scenery was so peaceful and relaxing. After a couple of hours and 20 dragons later we decided to call it a day as we were tired and exhausted, already planning to return to do the next part of the city. How you can raise money for Break. The trail is well worth a visit for all ages but will you will probably need more than one day if you want to see them all If you choose a lovely sunny day then the walk the doesn’t seem so bad. 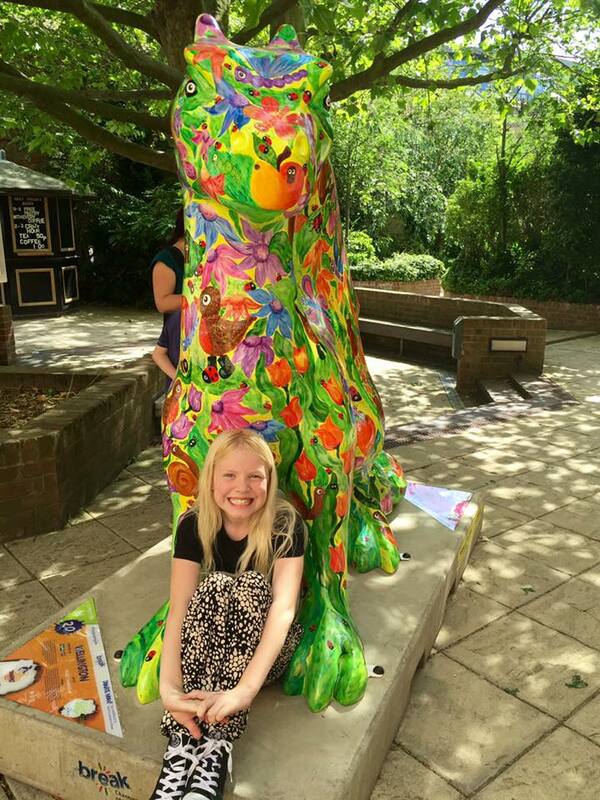 The dragons are stunning sculptures decorated by local artists –don’t forget to donate!